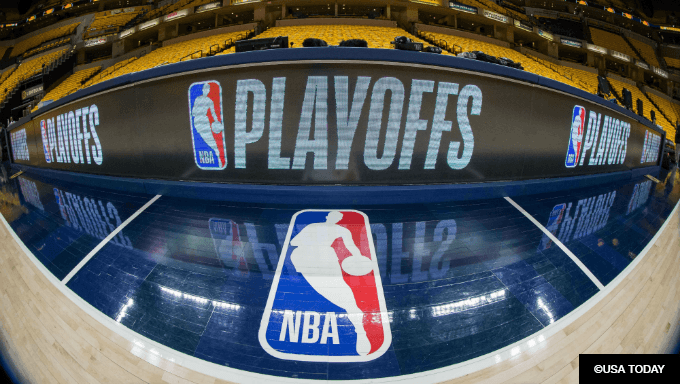 It may not have the same excitement and parity as its Stanley Cup Playoffs counterpart, but the NBA Playoffs provide plenty of intriguing action. The world’s best athletes square off in four rounds of best-of-seven action before a winner is crowned in mid-June. We’re here to analyze some trends that we’ve found that should be considered when NBA betting reaches the playoffs. It’s smart to bet on teams attempting to close out a series in either Games 4, 5 or 6 (Game 7s are closeout opportunities for both teams, so every instance would simply be one winner and one loser). This applies to NBA Finals betting as well. From 2008 to 2017 there have been 176 non-Game 7 closeout opportunities. Teams are 118-58 straight up and 98-77-1 against the spread in those contests, but breaking those games down reveals a few trends. In the 11-year span we’re considering, the teams with the best success rate are road favorites looking to close out a series. Those teams are 39-13 straight up and a whopping 36-16 against the spread. Home underdogs have always been an intriguing play but in the postseason road favorites dominate. It makes sense, too. If we’re assuming the higher seed is doing the closing out, their road game closeout opportunities come in Games 4 and 6; so either they’re attempting to go for a sweep or have just won a decisive Game 5 (see above) and have plenty of momentum, or they’ve lost Game 5 and want to avoid a Game 7. Home favorites aren’t too shabby, either. From 2008 to 2017 they’re 53-14 straight up, a 79 percent success rate, and are 35-32 against the spread. Road underdogs have been just about split, going 26-25-1 against the spread (and 25-27 overall). So, home favorites attempting to avoid being knocked out of the playoffs have generally been a good play. The most important games in a seven-game series are Games 1, 5 and 7. In regard to Game 5, its importance is magnified when the series is split 2-2. Winners of those games take a critical 3-2 series lead while the loser needs to win back-to-back games after suffering a momentum-crushing loss. And wouldn’t you know it? Home favorites dominate in Game 5s when the series is even up. From 2009 to 2018, home favorites took a 3-2 series lead with a record of 45-10 straight up and 34-21 against the spread. After the first round, which can be a crapshoot, the cream really rose to the top; in the final three rounds of the playoffs over that same period, home favorites in Game 5 were 24-3 straight up and 19-8 against the spread. It pays to play at home for a decisive Game 5, and more times than not the home team and favorite get the job done. Home favorites are also good bets at the start of series. In all but four instances from 2008 to 2016 they were Game 1 favorites, and they went 89-34 straight up and 71-52 against the spread. Favorites understand the importance of starting a series with a win, and they get it done with a commanding victory more often than not. And in do-or-die Game 7s? The home favorite is the way to go once again. There haven’t been many instances over that 11-year span from 2008 to 2018, but in 33 Game 7s the home favorite is 25-8 straight up and 19-14 against the spread. That’s not as big a cap as Game 5s or Game 1s, but it still pays to go with the home favorite in the final game of a series.